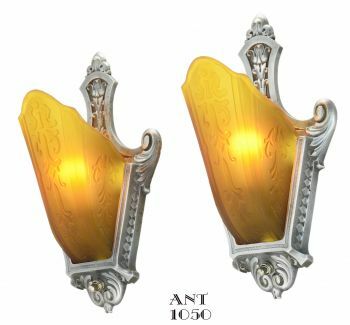 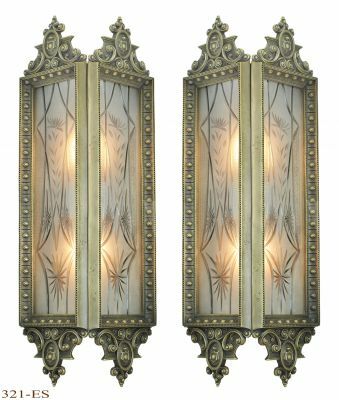 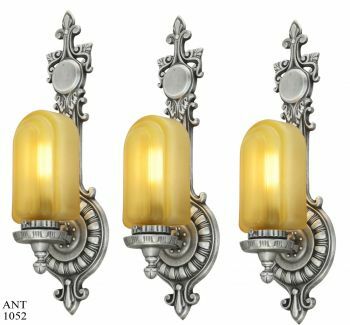 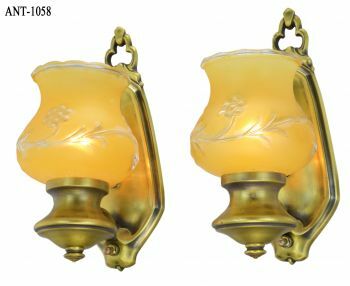 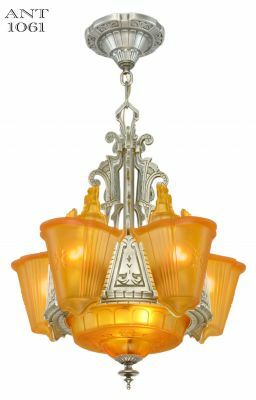 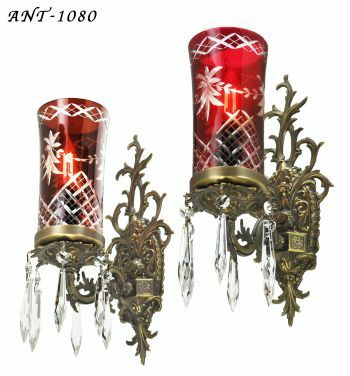 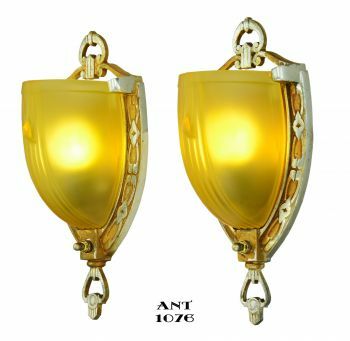 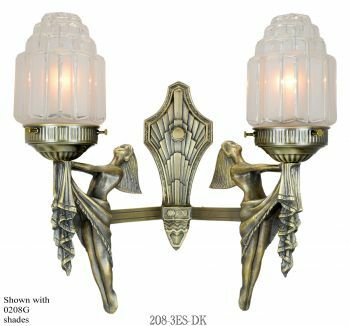 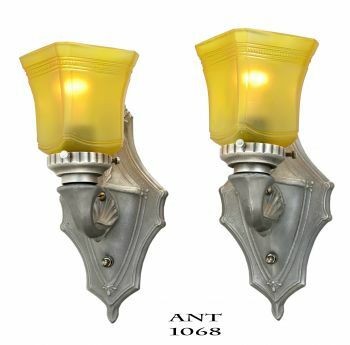 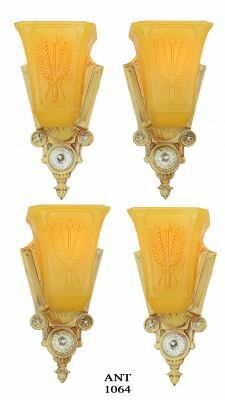 Whether it be an outstanding Craftsman or Art Deco period home, these nice porch sconce lights might be just the right ambiance for your fine home. 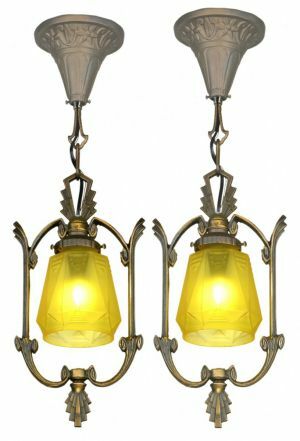 Available in two finishes, there is also a matching close ceiling porch light, so a complete matching set can be achieved especially for superior lighting on a longer extended porch. 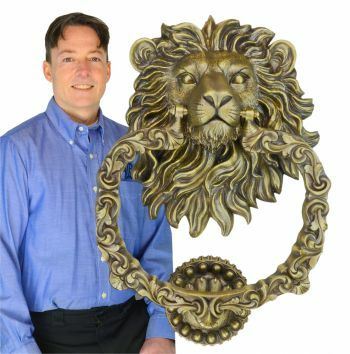 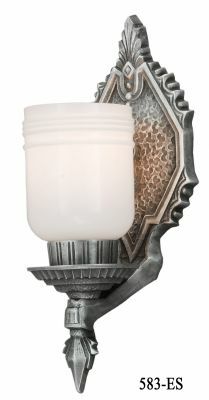 Our second finish is the craftsman sconce in oil rubbed bronze finish. Cast of zinc metal like the original from 1920, they have been modified to meet the UL standard for Damp Locations, which specifies Porch lights under a porch eve and all indoor applications. 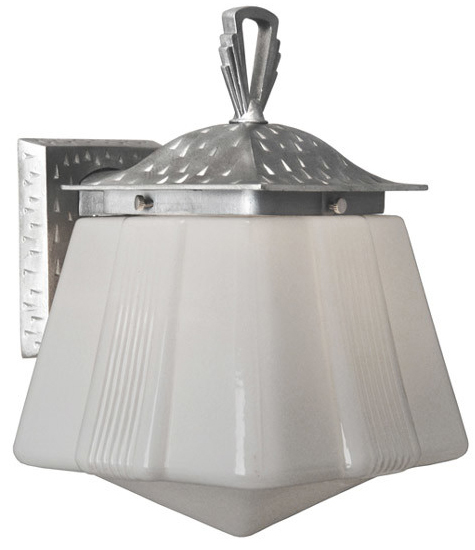 Height: 8" with pictured 0172G shade. 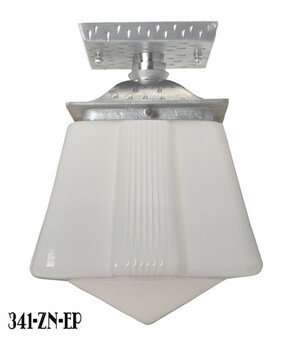 Width: 5 ½" at the fitter. 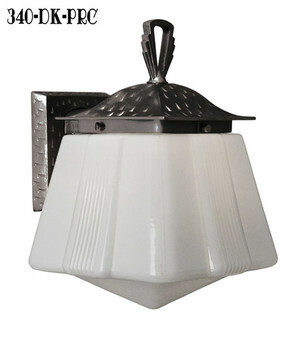 8" overall width with pictured 0172G shade. 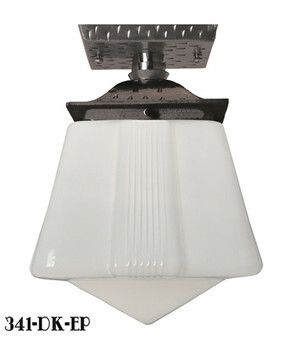 Projection: 7 ½" from the wall into the room. 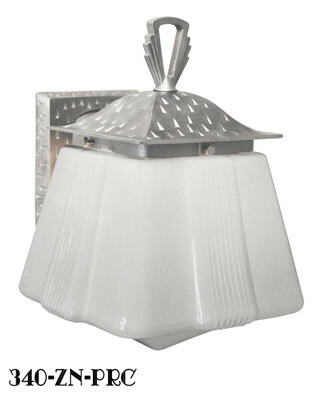 Projects 8 ½" with pictured 0172G shade. 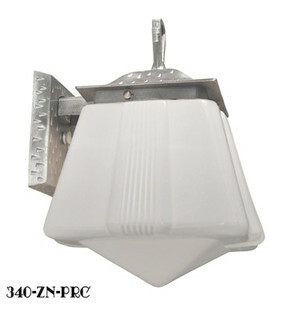 Wattage: Single socket, rated up to 100 watts incandescent. 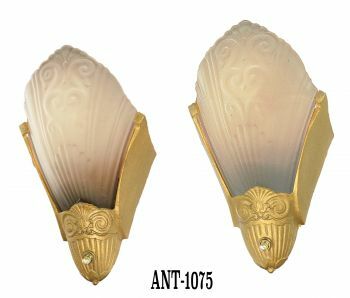 Supplied with normal medium based sockets for normal bulbs, we can also make this to utilize the CFL energy saving bulbs if so desired. 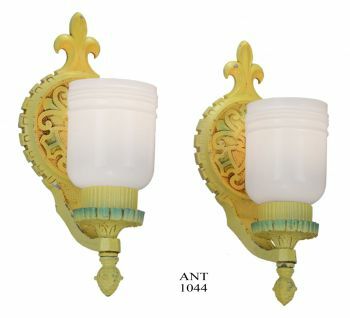 Price varies just slightly. 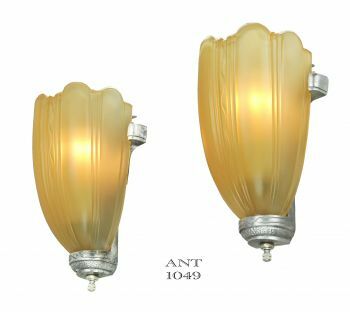 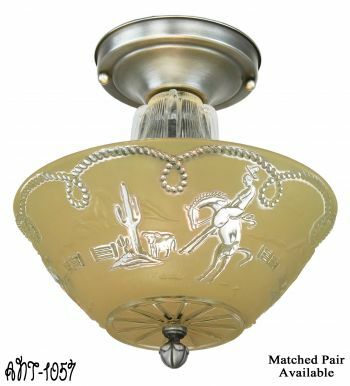 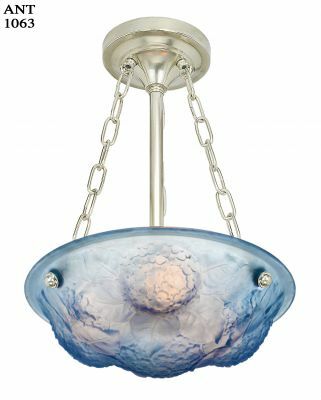 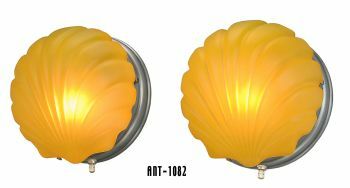 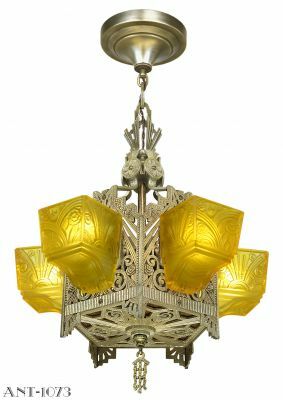 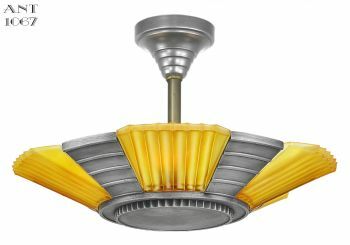 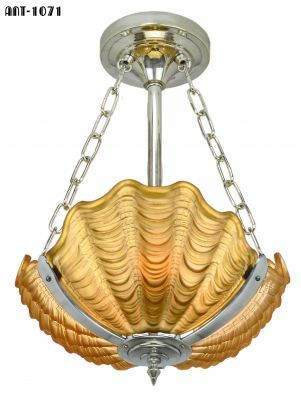 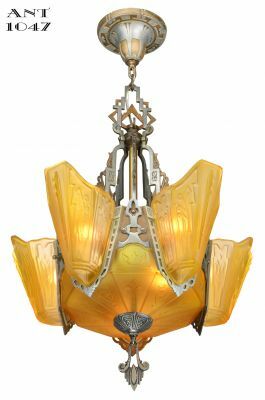 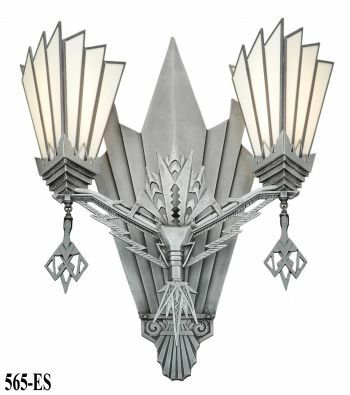 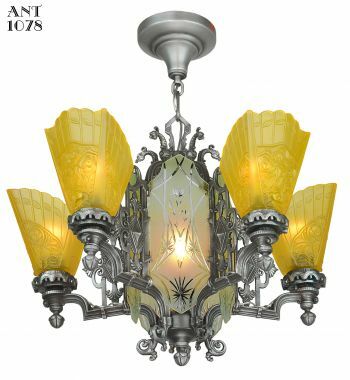 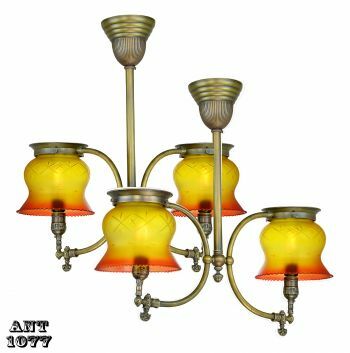 Sold without our illustrated art deco opal glass shade, giving you the opportunity for a different look or period style. 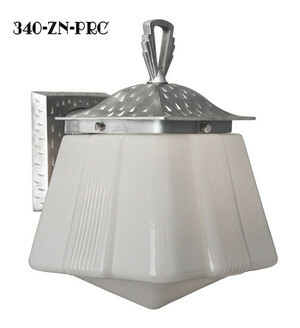 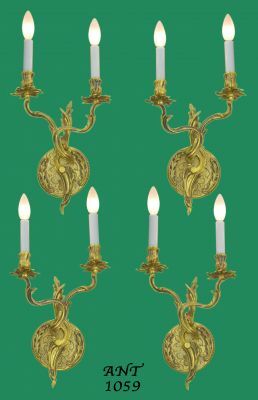 It has a 4” fitter if you wish a different shade, or if you have an antique shade. 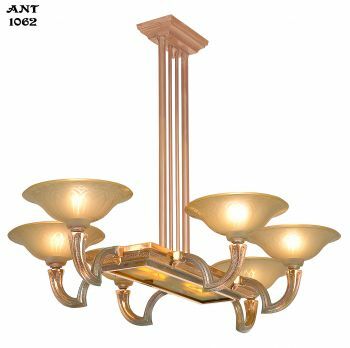 The fixture mounts with two canopy screws and crossbar, all of which are supplied.